The issue of marja’iyyat-i ‘ilmi for Muslims has been widely discussed and debated for centuries and its importance among the Muslims has been steadily growing as the time factor distances them from the period of the revelation of the Qur’an and the era of the Prophet (S.A.W.). Needless to say, it is of prime importance that all Muslims strive in earnest towards arriving at a common strategy of approaching this subject which plays a most pivotal role in ensuring the unity of the Islamic ummah. Keeping in view that the Glorious Qur’an as well as the sirah and the sunnah of the noble Prophet of Allah (S.A.W.) are the two main unifying pillars for all Muslims, it is the marja’iyyat-i ‘ilmi or scholarly authority that interprets the Qur’an and extracts Islamic laws from the Divine Book. However, Islamic scholars have comprehended certain matters from different angles and this fact has resulted in some major differences in the laws pertaining to Islamic beliefs and fiqh. The same problem shows up in matters concerning the Tradition of the Prophet (S.A.W.). Consequently, it is unfortunate that the marja’iyyat-i ‘ilmi is one of the most crucial issues on which Muslims have yet to agree. This discussion focuses on the marja’iyyah of the Ahl al-Bayt (A.S.) in accordance with the Prophet’s sunnah, sourcing its and the history of Islam. A study of the issue of marja’iyyah in the Qur’an and the hadith reveals that all the related texts emphasize on the marja’iyyah of the Ahl al-Bayt (A.S.), and although there may be Muslims, we have overlooked those for the purpose of this study and have instead focused on the ones on which there is agreement. At the onset, let us refer to certain verses from the Glorious Qur’an that confirms the indisputable authority of the Ahl al-Bayt. 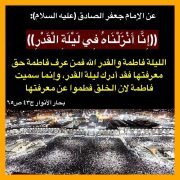 Allah Almighty says: “… so ask the People of the Reminder (Ahl al-Dhikr) if you do not know” (16: 43 and 21:7). The exegesis of Ibn Jarir al-Tabari quotes Jabir al-Ju’fi as saying that when this verse was revealed, Imam ‘Ali (A.S.) stated: “We are the People of the Reminder (the Qur’an)”. Without a doubt, this is the reference to the Ahl al-Bayt, as mentioned by different exegetes of the Holy Qur’an, since none were “firmly rooted in knowledge” than the “Gateway of the City of knowledge” Imam ‘Ali (A.S.) and his infallible descendents. I asked the Prophet of Allah (S.A.W.) who this ayah referred to, and he replied, ‘My brother, ‘Ali bin Abi Talib’. This ayah has been explained by the Prophet (S.A.W.) in these words: “My Ahl al-Bayt and I are cleansed and pure of sin.” Besides, the Prophet (S.A.W.) has also said: “Myself and ‘Ali, Fatimah, and Hasan and Husayn, and nine of the descendants of Husayn are pure and infallible.” This verse of purification indicates the special divine favour bestowed upon the Ahl al-Bayt (A.S.) by keeping them away from pitfalls and delusion, such that they serve as great human exemplars and stand out as the final word in times of dispute among secondary sources. This verse draws the hearts and the intellects towards the Ahl al-Bayt (A.S.), and stresses that a sincere feeling of loyalty towards the Ahl al-Bayt (A.S.) is itself the reward for the followers of this faith. Moreover, the verse which states: “Say: If you love Allah, then follow me, Allah will love you…” (3:31), also implies that there is a direct relationship between ‘love’ and ‘obedience’. Many of the Prophet’s (S.A.W.) companions have narrated this hadith, including Abu Sa’id al-Khudri, Abu Barzah, Abu al-Hamra’, Abu Ya’la Ansari, Anas bin Malik, Bara’ bin ‘Azib, Thawban, Jabir bin ‘Abdullah Ansari, Zayd bin Arqam, Zaynab bint Abi Salamah, Sa’d bin Abi Waqqas, Sabih the retainer of Umm Salamah, ‘Abdullah bin Ja’far, ‘Umar bin Abi Salamah, ‘Umar bin al-Khattab, as well as others, and all their narrations unanimously emphasize that the Prophet (S.A.W.) 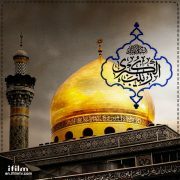 referred to “‘Ali, Fatimah, Hasan, and Husayn (A.S.) as his Ahl al-Bayt”. Most of the documents related to this particular hadith have been extracted from the sihah of the Ahl al-Sunnah and their encyclopedias of ahadith. The Hadith al-Thaqalayn has held the Ahl al-Bayt (A.S.) in the same category as the Glorious Qur’an. This hadith has been quoted by thirty-three companions of the prophet (S.A.W. ), including Abu Ayyub Ansari, Abu Dharr Ghifari, Abu Sa’id Khudri, Abu Shurayh Khuza’i, Abu Qudamah Ansari, Abu Hurayrah, Umm Salamah, Anas bin Malik, Khuzaymah Dhu al-Shahadatayn, Sa’d bin Abi Waqqas, Zayd bin Thabit, Salman Farsi, ‘Abd al-Rahman bin ‘Awf, ‘Umar bin al-Khattab, and ‘Amr bin ‘As. Some Sunni scholars have deduced that this hadith refers to the marja’yyah of the Ahl al-Bayt (A.S.), only in the field of jurisprudence. According to their interpretation, the hadith “does not imply political leadership, but instead, refers to leadership in the fields of jurisprudence and knowledge”. In this article, we are not about to discuss the implications of this hadith and shall content ourselves with the fact that both the Shi’ite and the Sunni schools are in agreement over the supremacy of knowledge. According to a researcher, one hundred and eighty-five Sunni scholars and jurists have stated that the term, ” ‘itrah”, in the phrase “kitab Allah wa al-‘itrah”, refers to the Ahl al-Bayt (A.S.) of the Hadith al-Thaqalayn and the Hadith al-Kisa’. 3. Anas bin Malik has quoted the Prophet (S.A.W.) as saying to Imam ‘Ali (A.S.): “After me, it will be you who will clarify matters when disputes arise.” This hadith is a very clear proof verifying the authority of the Ahl al-Bayt (A.S.) in matters of knowledge. 10. Jabir Thamarah quotes that the Prophet of Allah (S.A.W.) said: “Religion (Din) will prevail until the Day of Resurrection (or in other words), there will be twelve khulafa’ for you, all of whom shall be from the Quraysh.” ‘Abdullah bin Mas’ud is reported to have stated that some people questioned the Prophet (S.A.W.) regarding the number of the khulafa’ of the ummah, to which his answer was: “They are twelve in number, equal in number to the chiefs of Bani Isra’il.” There is a large number of ahadith that can be sourced back to the various Islamic schools, all of which carry the same meaning, in spite of some apparent differences in their wordings. All Muslims unanimously agree that the number of successors, or khulafa’, or umara’ (p. of amir), or Imams after the noble Prophet (S.A.W.) is twelve, all of which belong to the Quraysh. All the aforementioned narrations that have been extracted from original Sunni sources have generally been verified on the basis of Qur’anic ayahs and ahadith, and hold valid scientifically. Imam ‘Ali (A.S.) guides the Muslims to be in communication with the Glorious Qur’an, and in his most eloquent words says: “This is the Qur’an, so be in communication with it, and although it will never (actually) speak in words, I am informing you to be aware that it contains the knowledge of things to come.” The core of the matter, therefore, is that access to all the hadith concerning the real understanding of the Qur’an is only possible through the Ahl al-Bayt (A.S.). This is mainly because their first source of knowledge was divine Revelation (wahy) and they are the sources of marja’iyyah for the Muslims in the perfect extraction of the meaning of the Qur’an. 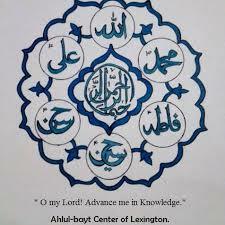 Each Imam (A.S.) thus attains his knowledge from the Imam (A.S.) preceding him. And Imam (A.S.) never acquires his knowledge from anyone else. This knowledge is exclusively the legacy of the Imams (A.S.) even though the Imams (A.S.) are known to have passed on knowledge to some of their students based upon their aptitudes and their levels of understanding. A lot of material in available on this subject. There is no doubt that each Imam (A.S.) bears certain personal experiences during his own lifetime that that he acquires through the person of each Imam (A.S.) and are related to the requirements of the span of the Imam’s (A.S.) own specific lifetime, in turn (A.S.). Thus, although all the Imams (A.S.) work towards the same single purpose, the periods of the lifetimes of each one of them call for their own specific tools, approaches and responses. 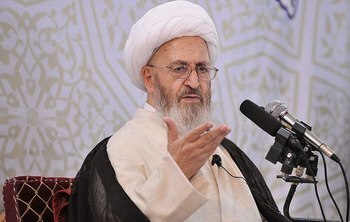 For example Imam ‘Ali (A.S.) demonstrated great political acumen and unparalleled battle skills throughout his lifetime, right until his ultimate martyrdom, leaving behind him, the valuable experiences that had been gained from over fifty years of active involvement in politics, warfare, and social affairs through his own unique knowledge and understanding. This experience was inherited by all the other Imams (A.S.), and is an important insight that throws light on a correct perception of the live and the humanness of the Ahl al-Bayt (A.S.). The Ahl al-Bayt (A.S.), too, are the creations of Allah, with the main difference being that Allah has showered them with the special grace of His Love. The fact of the matter is that exaggerated versions of the lives of the Ahl al-Bayt (A.S.) have portrayed very unreal pictures as regards their personalities and their knowledge. These misrepresentations have resulted in neglect and laxity among some Muslims, exposing them to the tragedies of exaggeration and amplification. 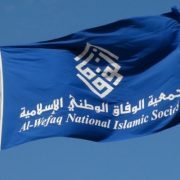 Interestingly, despite the differences of the various schools of theology and jurisdiction, Islamic scholars have always turned to the Ahl al-Bayt (A.S.) in order to confirm their beliefs in comparison to the Prophet’s companions, the first generation of Muslims who followed them (tabi’in) and the founders of the juristic schools. The various books on hadith, fiqh, and history have referred widely to this fact. But for the devious and deceptive political move of some of the rulers of the Umayyid and the Abbassid dynasties, the Allah al Bayt (A.S.) would have not certainly continued to retain their exclusive positions within the hearts and souls of the Muslims. The misleading political moves of the rulers had spread their vicious roots so deeply within the Islamic ummah that they completely distorted facts and reality. For the sake of brevity, we shall restrict ourselves to reviewing only sections of the sayings of some of the sahabah, tabi’in and fuqaha’ (jurists) on the Ahl al-Bayt (A.S.). 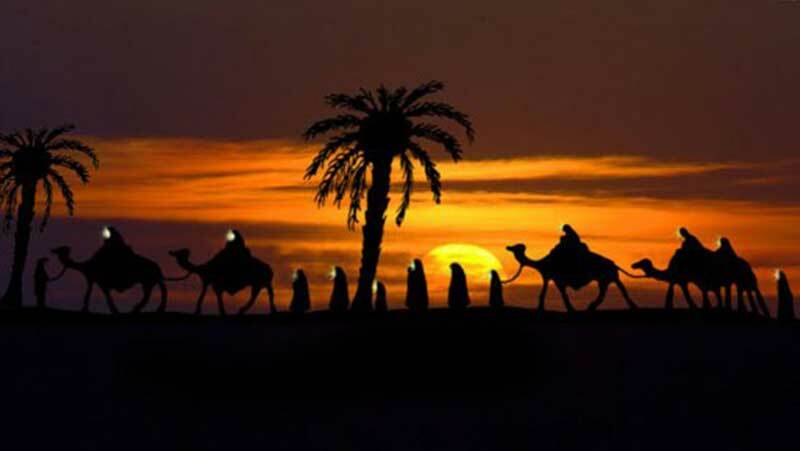 Islamic history witnessed the age of the caliphs following the times of the Prophet (S.A.W.). And with all the complex uncertainties that cropped up immediately upon the passing away of the Prophet (S.A.W. ), Abu Bakr became the caliph. It is a well-known fact that Abu Bakr sought the help of Imam ‘Ali (A.S.) in matters pertaining to the people who turned apostates and also approached him for clarification on various religious matters. The second caliph, ‘Umar bin al-Khattab, most frequently referred to Imam ‘Ali (A.S.) on matters pertaining to belief, jurisdiction, and socio-political issues. He also said: “O ‘Ali! You are the best in judgement and in issuing decrees. O Lord! Do not descend any difficulty upon me unless ‘Ali is beside me. O’ Aba al-Hasan! May Allah never try me with any difficulty unless you are by my side, and may He never place me in a city devoid of you; I seek refuge from any difficulty in which Aba al-Hasan is not beside me; O’ ‘Ali! May Allah not leave me alive after you.” All these pleas and appeals were because Imam ‘Ali (A.S.) was the key to the solution of the most intricate of religious and jurisprudential matters that ‘Umar as well as the Muslims and non-Muslims were faced with. It was ‘Ali bin Abi Talib (A.S.) who had advised ‘Umar bin al-Khattab to date the Islamic calendar according to the hijrah (migration from Makkah to Madinah) of the Messenger (S.A.W. ), a suggestion that ‘Umar accepted, but instead of basing the start of the New Year on 1 of Rabi’ al-Awwal, the day the Prophet migrated, he chose the pre-Islamic tradition of Muharram. The second caliph had also approached Imam ‘Ali (A.S.) for consultation during the war with the Sasanian and Roman Empires. Numerous books on hadith, jurisprudence, and history have recorded that the situation was no different during the times of “Uthman bin ‘Affan, who like the earlier caliphs, used to seek out the help of Imam ‘Ali (A.S.). After the remembrance of (the Name of) Allah, is their remembrance, which prevails over the beginning and end of matter. You hold lofty positions and possess the Knowledge of the Book (‘Ilm al-Kitab) and the hidden meanings of the surahs lie with you. Their homes constantly reverberate with the sounds of the Qur’an while your homes resound with gaiety and song. I am hopeful that through their mediation on the Day of Judgement, the list of my deeds is handed over to me in my right hand. Many of the renowned scholars and jurists belonging to the various Islamic schools have conducted extensive research on the Imams of the Ahl al-Bayt (A.S.), and particularly on Imam Ja’far al-Sadiq (A.S.). Ibn ‘Uqdah has recorded many of the books of these scholars. These scholars include Malik bin Anas, Abu Hanifah Nu’man, Yahya bin Sa’id, Ibn Jarih, Sufyan Thawri, Shu’bah bin Hajjaj, ‘Abdullah bin ‘Amr, Ruh bin Qasim, Isma’il bin Ja’far, and Ibrahim bin Tahhan. Abu Hanifah has famous saying that corroborates the statement: “If not for fasahah and balaghah (eloquence and articulacy), verily, Nu’man (Abu Hanifah) would have been ruined.” This fasahah and balaghah was taught by Imam al-Sadiq (A.S.) and Abu Hanifah had the honour of being one of the Imam’s (A.S.) students. Why is Laylatul Qadr interpreted to hazrat Fatima?